Digital Entertainment World provides a first-class platform for leading intellectual property rights holders from video, music, games and publishing to access the entire digital value-chain of technology and service providers, digital distributors and device manufacturers, to build the partnerships necessary to create and monetize digital content across all significant platforms. 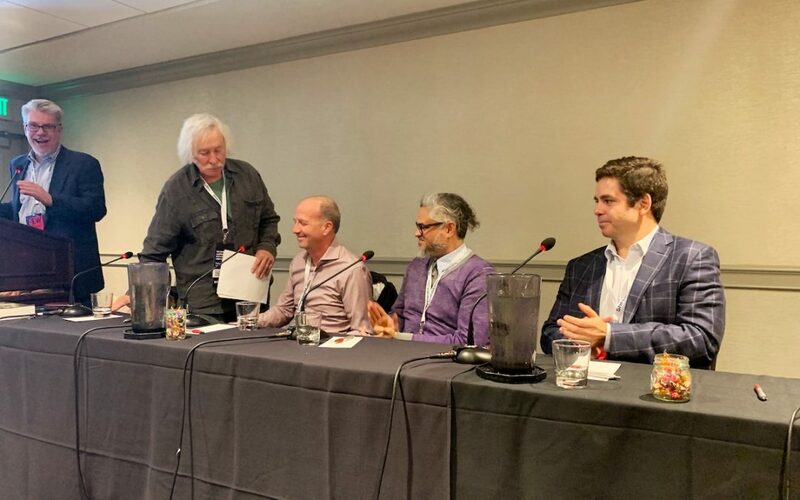 Today at their annual conference in Marina del Rey, RChain Director of Business Development, Fabian Alsultany, spoke on a panel focused on creating effective tools for tracking money that is often lost to rights holders due to outdated bureaucracy and poor models of execution. The panel was moderated by Todd Brabec, the former Executive VP and Worldwide Director of Membership of ASCAP. In this video above, Alsultany explains how blockchain will enable immediate revenue distribution to artists every twenty-four hours, as well as discuss the importance of embedding metadata in music and other digital assets for rights holders.